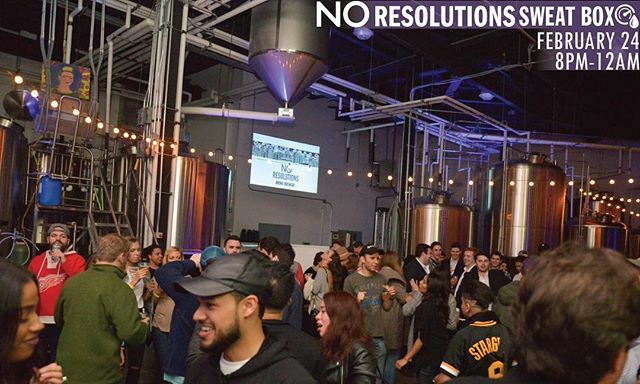 Soca, Dancehall & Reggae beats aren’t always associated with brewery parties. But this is The BX, and you know we go hard for Serani. Meet us on the Dance (brewery) Floor on FEBRUARY 24th, where we’ll be sweating it out to @jamesy.nyc for the night. (Ticket Link in Bio). Taproom regulars’ @roadgrubmobile will be posted up out front serving up some Caribbean-inspired eats alongside their classics. And of course, it’s still early enough in the year where we’re still embracing a complete No Resolutions mindset. For that reason, we’ll be doing discounts on No Resolutions IPA all night.